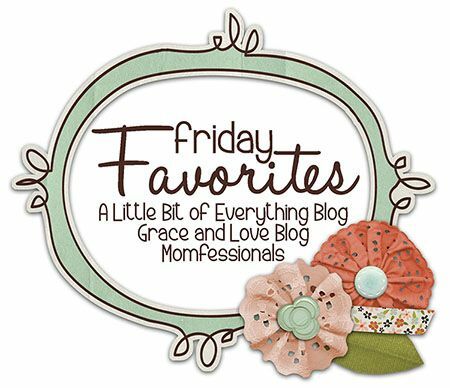 Today I am linking up with three other blogs to bring you my Friday Favorites! You can find the link up over at Momfessionals! We have been transitioning our house over to fall, and yesterday I put away my summer nail polishes and got out my bin of fall nail polishes. I said goodbye to the hot pink on my nails and painted them Mochacino, a fun sparkly gray by Essie. I haven't had the chance to pick up any of their new fall colors yet, but it's on my to-do list! Another one of my favorite ways to transition the seasons is by putting away the summer scents and breaking out the fall scents! I am all about apples and pumpkins! Currently, I am working my way through a Macintosh Candle by Yankee Candle! This is one of my favorite transition to fall scents! Last week, we were enjoying a batch of my pumpkin bread. 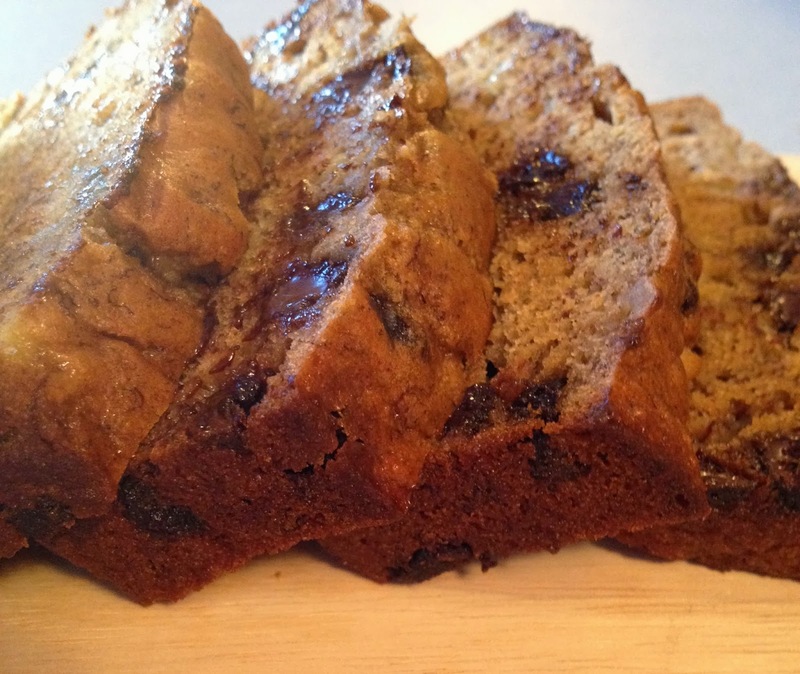 This week, we ate two loaves of my Healthy Chocolate Chip Banana Bread! It's the perfect recipe to use up those bananas that are turning brown in your fruit bowl! I know we are a little late to the game on this one! The girls actually got this for Easter, but they haven't really have the attention span to watch the movie from start to finish...until last weekend. Lacie was feeling a bit under the weather, and we watched this DVD 3 times in a 24 hour period (no I'm not exaggerating). Here's a sweet pic I snapped of Daddy and his girls watching Frozen (my child who is smiling is actually the one not feeling well). I believe this was during showing #2! It was a longgg weekend of staying inside! I totally agree on all of your favorites! I have started painting my nails in fall colors and I am on a search for a good brown or grayish color for this season. I might have to try yours!! Love all of your fav's! I'm switching my polish colors for fall too! I pinned your banana bread recipe! It looks delicious! Thanks for stopping by Jill! I think you will love the banana bread! Love the Essie combo pack! I need that! I love it too! And Nordstrom just makes it way too easy with their free shipping on everything lol!